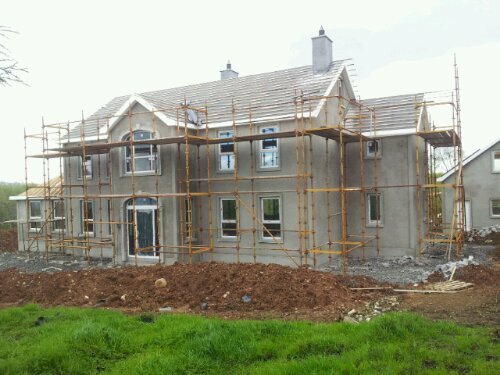 Our new house in Ballyclare has started on-site and is progressing well. This 4 bedroom open plan dwelling, on the outskirts of Ballyclare, county antrim, is being kitted out with the latest underfloor heating system available in northern Ireland. Along with photovoltaic panels on the roof, Argon filled double glazing and extra insulation to the floors, walls and roofs, our clients is hoping to keep heating bills to a minimum.